Limited to 100 copies on BONE coloured VINYL. Second pressing. 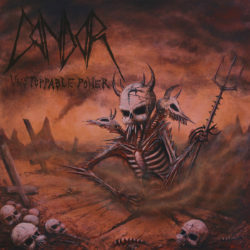 The sophomore full-length by Norwegian thrash/black metal outfit CONDOR. The band gets its inspiration from old school bands such as Sodom, Sepultura, Sarcofago, Kreator and especially Destruction.